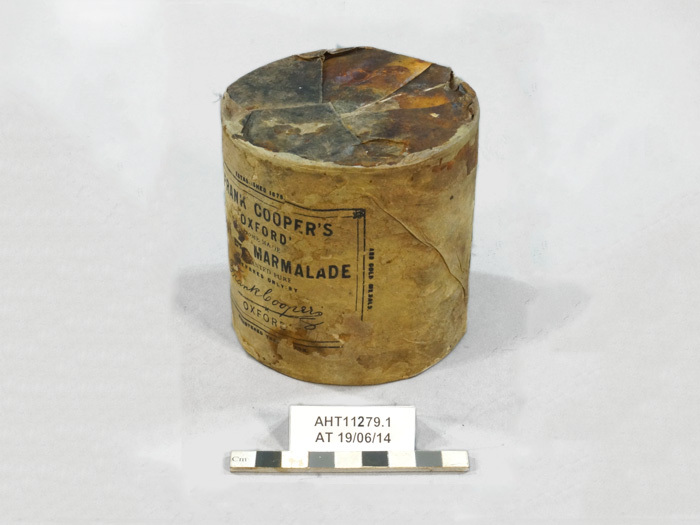 Owner: Antarctic Heritage Trust, New-Zealand. 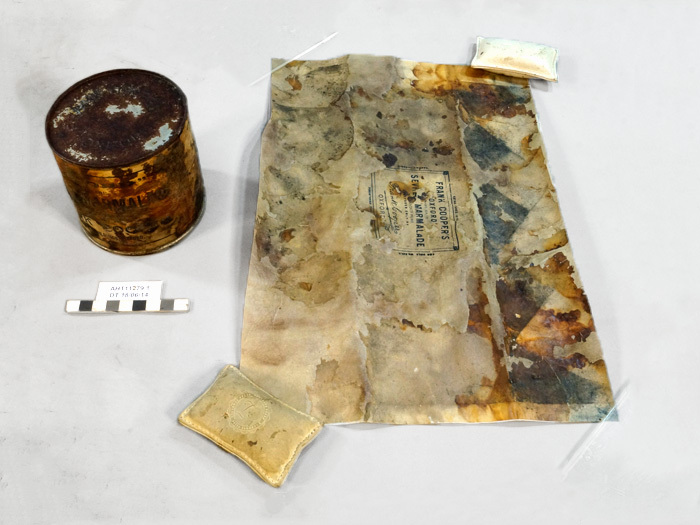 This artefact comes from the collection of c.18,000 artefacts at Terra Nova Hut, the expedition base built by Captain Robert Falcon Scott and party during his 1910-1913 expedition to Antarctica. 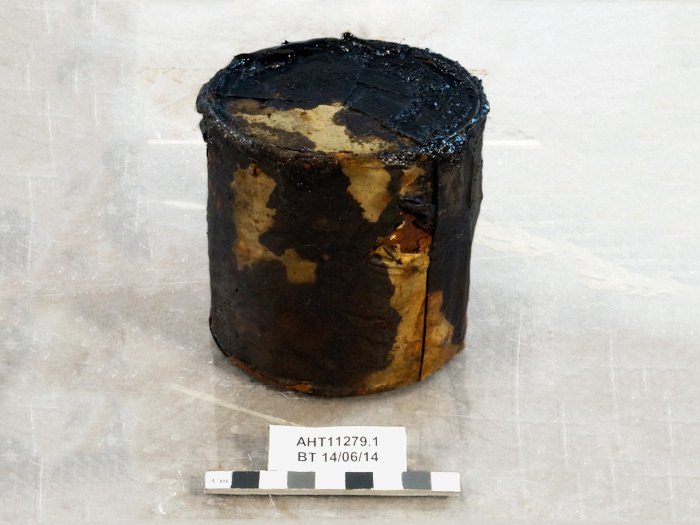 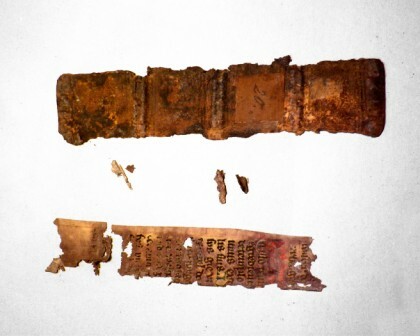 This iron-alloy tin is heavily corroded; the label and the wrapper are significantly damaged over most of their surfaces as well, stained by corrosion and covered by a thick layer of old marmalade. 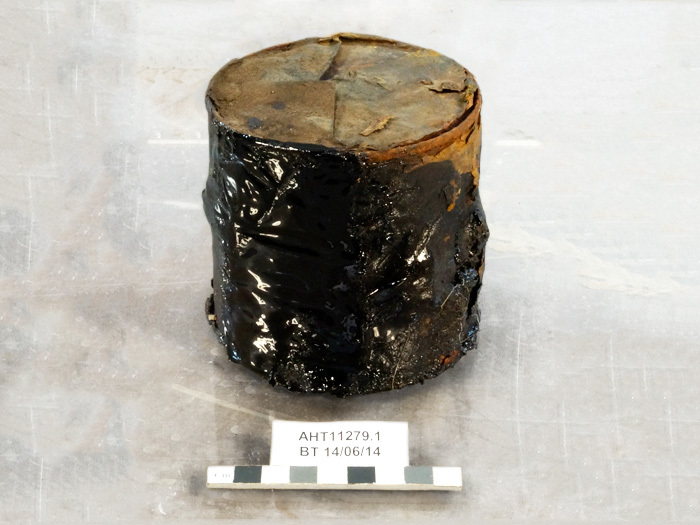 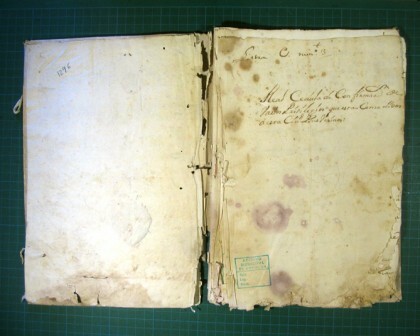 During initial cleaning it was apparent it would be possible to remove the paper elements from the tin, allowing more comprehensive treatment of the paper, and the opportunity to clean and stabilize the metal (surface corrosion was converted and coated). 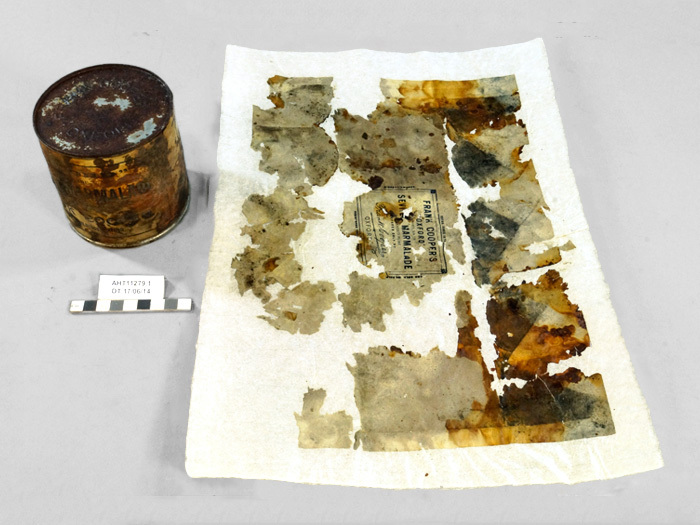 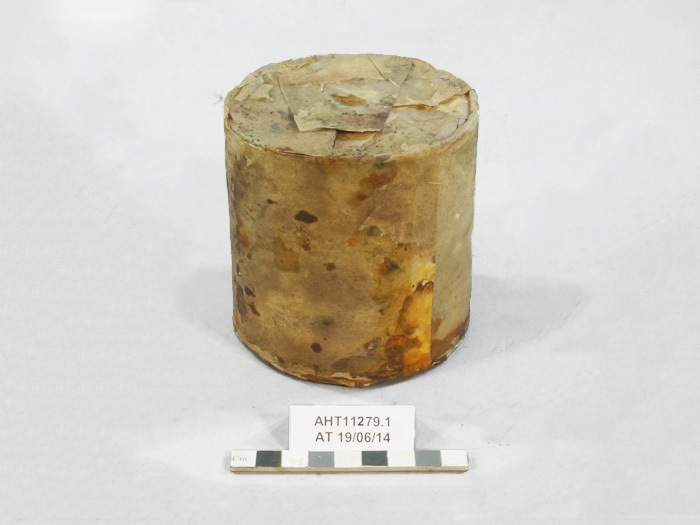 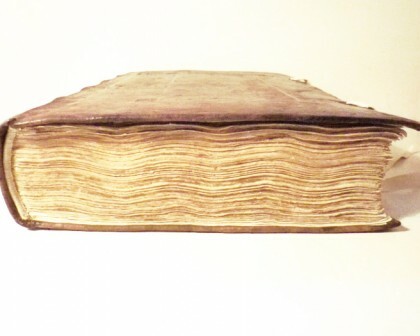 The deteriorated food content was removed from the tin, and the paper, once washed and repaired, was replaced onto and around the tin.